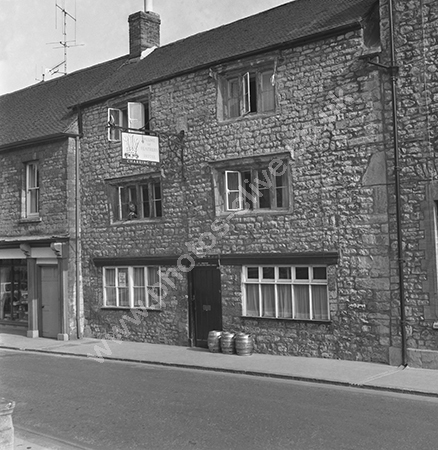 Built opposite Sherborne Abbey in 1590, the Plume of Feathers, Half Moon Street, Sherborne DT9 3LN Dorset in 1973-4. For commercial use of this photo, including use on another website, please visit Alamy.com and search for ABHBRD . For a one-off print please see below.